top three laminate brands worldwide. Respected for innovation. Growing international presence. Trusted by designers. See what makes us Asia’s Largest Suface Solution Company. Renowned brand. Large portfolio of surface décor products. Widest distribution network, 35 branch offices across the globe, over 3750 employees. Greenlam Industries is the force behind globally-acclaimed brands such as Decowood, Mikasa, New Mika, Greenlam Clads, Greenlam Sturdo and the top laminate brand in india - Greenlam. A powerhouse in providing high-quality surface solutions that are designed to transform and beautify residential and commercial spaces, Greenlam Industries has an exhaustive portfolio of products which constantly features new and exclusive designs, styles and patterns. Manufactured in compliance with the highest quality benchmarks, our products cater to diverse requirements, promising unmatched value and appeal, no matter the application. Greenlam, a favorite among architects, interior designers and homeowners, sits among the top 3 manufacturers of laminates in the world and for good reasons. 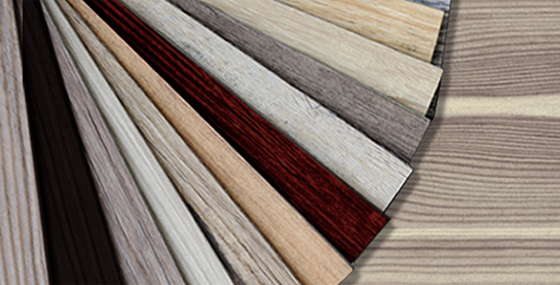 The brand offers a huge selection of laminate types for different commercial and residential applications. Choose from more than 400 designs and variety of exclusive textures for all your surfacing requirements. Mikasa brings you India's first collection of real wood floors crafted from the most exotic species of wood from around the world, to accentuate every space. With a product range of over 100 unique offerings, we promise you endless choices to design and style your floors. All our products are engineered to perfection in a state-of-the-art manufacturing plant using latest European technology, making our products durable and long-lasting. Every Mikasa floor is built using 3-layer construction and revolutionary PlankLOCTM technology for unmatched stability and solidity. With a 30-year warranty, you get floors that last for years to come. Our ethical wood-sourcing techniques have minimal impact on the environment, ensuring that you take home a product with a clear conscience. Greenlam Clads gives you a premium collection of clads for interior and exterior applications. Our exterior cladding can go a long way in transforming and protecting the exteriors of commercial and residential properties. Our interior cladding is made from high pressure compact laminates to give you bold and beautiful options for your wall cladding, wall skirting, indoor furniture and ceiling. Choose from a wide range of Exterior & Interior decors that promise to add distinct style and aesthetic beauty to balconies, attics, facades and other spaces. If you are looking for premium grade surfacing solutions to beautify residential or commercial spaces, Greenlam has got you covered. Our extensive product portfolio has everything you may need to manifest your creative genius and make the exteriors and interiors of your property, true works of art. To discuss your requirements, simply call +91 11 4279 1399 or write to us at info@greenlamindustries.com. You can also fill out our contact form and we will take it from there.